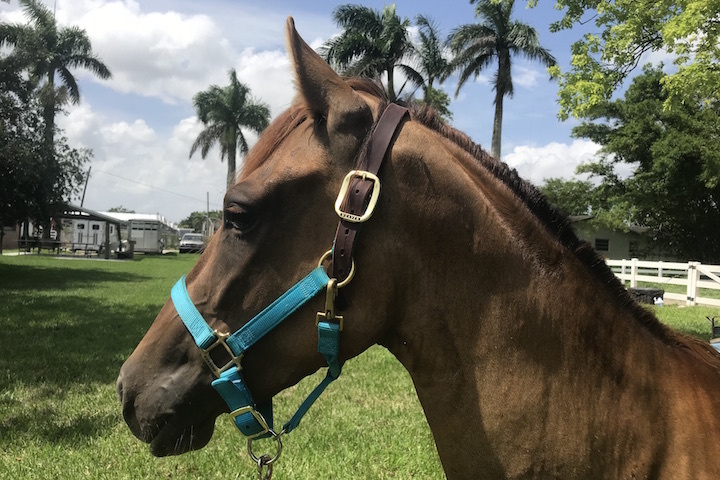 “Gitana,” the Spanish name for gypsy or wanderer, is friendly, well behaved on the ground and stands for grooming and the farrier. 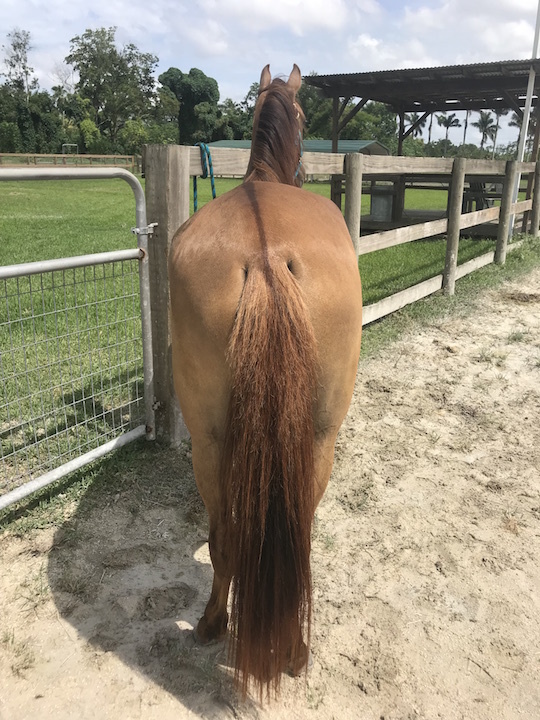 She has not yet been tried under saddle. She has made an amazing transformation since we rescued her. 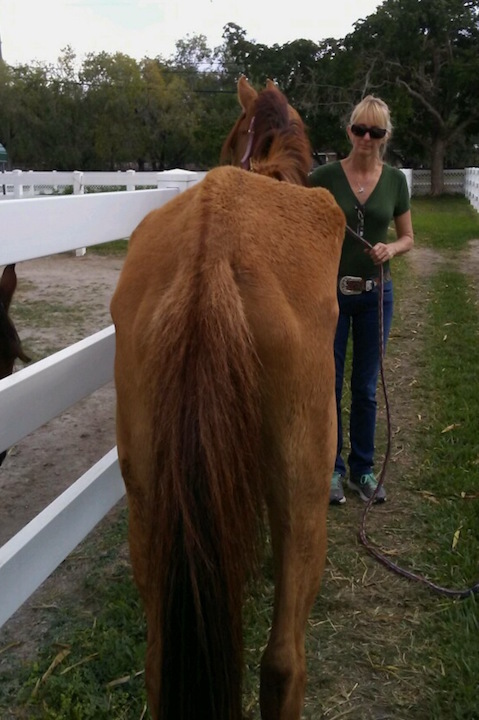 Gitana’s dropped hip doesn’t seem to bother her at all, and is much less noticeable since she’s gained her weight back. 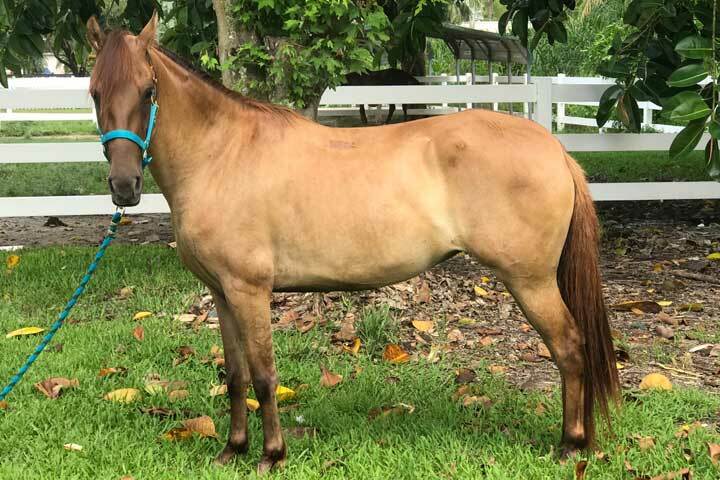 RESCUE STORY: Gitana was a stray who found her way to a SW Miami-Dade ranch on February 4, 2018. 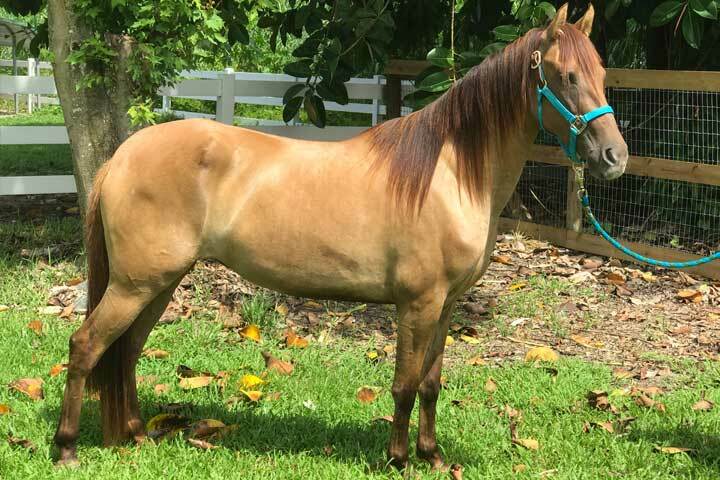 She was emaciated, with a body score of a 1 on the Henneke scale, and arrived with a dropped hip. 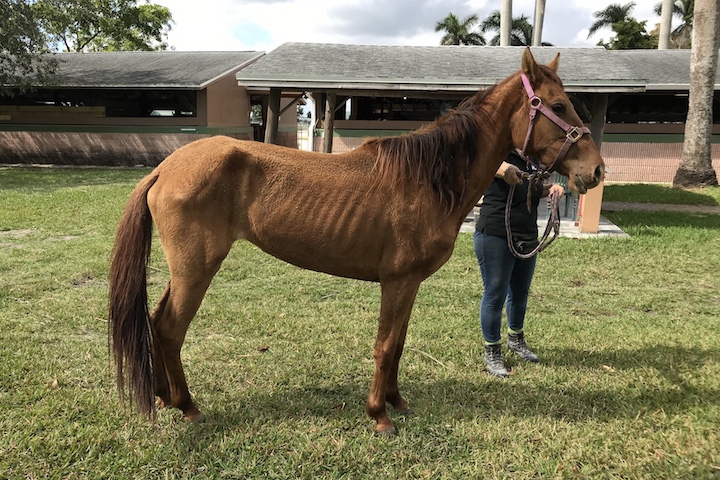 If you are interested in adopting Gitana, please first complete and submit the adoption application (link below). Once your application is received, we will get in touch with you about next steps. 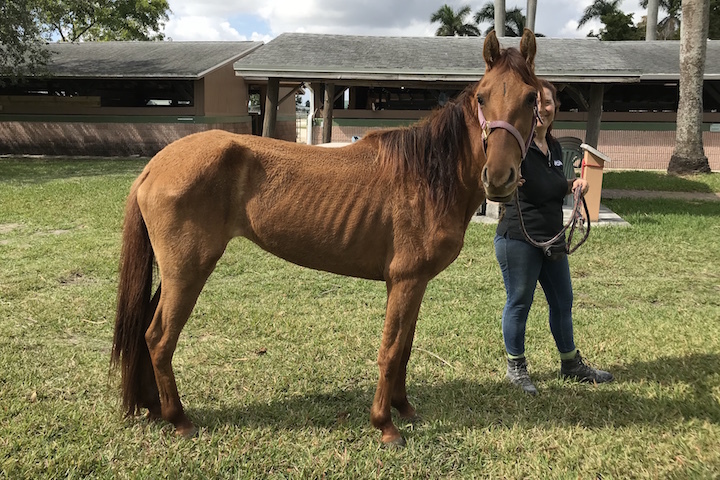 Our staff is always busy picking up new rescues, tending to sick or injured horses, and even testifying in cruelty cases, so it may take up to a few days to respond. Your patience is appreciated!